FROM July 16 to 20, notable filings of shareholders’ movements in companies listed on Bursa Malaysia included that at Astro Malaysia Holdings Bhd, which saw the Employees Provident Fund (EPF) acquire 13.95 million shares via multiple transactions between July 9 and 13 from the open market. As at July 18, EPF had a direct interest of 417.4 million shares or 8.006% in the pay-TV provider. Serba Dinamik Holdings Bhd saw several changes in holdings by its substantial shareholders, including the disposal of one million shares on the open market on July 9 by group CEO Datuk Dr Mohd Abdul Karim Abdullah. He was left with a 22.98% stake as at July 18. Meanwhile, EPF acquired 3.46 million shares in the engineering service provider, bringing its stake to 81.15 million shares or 5.64%. Kumpulan Wang Persaraan (Diperbadankan), or KWAP, also acquired 622,100 shares via two transactions on July 11 and 12. EPF bought 3.26 million Sunway Bhd shares on July 9 and 13 while the group’s major shareholder, Sungei Way Corp Sdn Bhd, acquired 15 million shares on the open market on July 11. Following the acquisitions, EPF’s stake rose to 6.58% while Sungei Way’s holding increased to 55.94%. Over at Tan Chong Motor Holdings Bhd, president and major shareholder Datuk Tan Heng Chew acquired 47,000 shares on July 10 and 12, bringing his holding to 316.24 million shares or 48.456%, including an indirect stake of 40.42%, as at July 13. KWAP purchased a total of 11.73 million VS Industry Bhd shares from July 9 to 12, bringing the pension fund’s stake to 190.54 million or 11.267% as at July 18. Since the start of the year, VS Industry’s share price has fallen 32%. It closed at RM1.63 last Friday. YNH Property Bhd executive director Datuk Dr Yu Kuan Chon sold 1.109 million shares via two transactions on July 10 and 13. He still holds 171.88 million shares or a 32.72% stake in the property developer. At Dialog Group Bhd, EPF disposed of 4.49 million shares via multiple trades between July 9 and 13, leaving the provident fund with 467.86 million shares or an 8.3% stake. Dialog’s share price has been on an upward trend since the start of the year, gaining 31% year to date. Iskandar Waterfront City Bhd’s (IWC) share price rebounded to a three-month high of 81 sen last Friday on renewed hopes that its parent company, Iskandar Waterfront Holdings Bhd (IWH), will once again be given the opportunity to participate in the Bandar Malaysia project. The counter gained as much as 50% in early trade that day, hitting an intraday high of 88 sen along the way. This followed reports of Ministry of Finance special officer Tony Pua saying that the government had yet to receive tender proposals for the development of the 194ha tract in Sungai Besi. IWC’s shares were battered in May last year after MoF-owned TRX City Sdn Bhd cancelled the 60% stake sale in Bandar Malaysia to IWH CREC Sdn Bhd, a 60:40 joint venture between IWH and China Railway Engineering Corp Sdn Bhd, claiming that the latter had failed to meet payment deadlines. Kretam Holdings Bhd has seen a sharp drop in its share price over the past two months, down as much as 52% to a 2½-year low of 40 sen earlier this month, since its closing of 83 sen on May 25. Last Friday, the counter fell 0.5 sen or 1.21% to close at 41 sen, giving the company a market capitalisation of RM954.33 million. 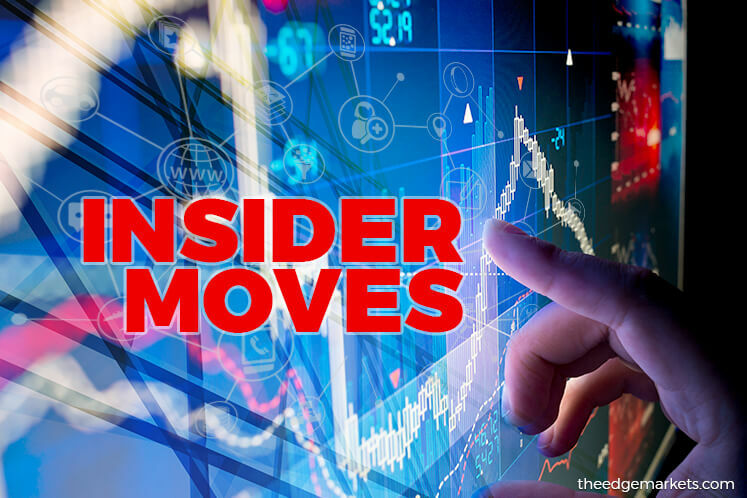 According to a filing, its major shareholder, Santaprise Sdn Bhd, disposed of 19 million shares or a 0.81% stake via an off-market transaction on July 13, bringing its holding to 481.86 million shares or 20.7%.